His smile can light up this whole town! 26/6/2011<3. 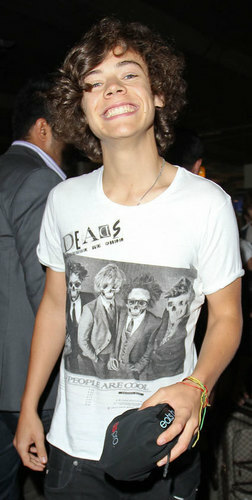 Harry at the Heathow airport 26/6/2011. Wallpaper and background images in the Harry Styles club tagged: harry styles one direction. This Harry Styles photo contains jersey, t shirt, and tee shirt.